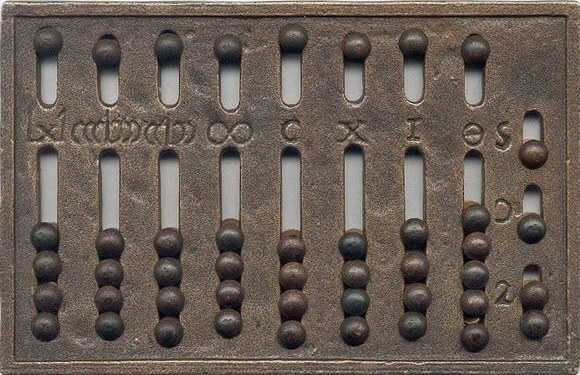 Abacus – Roman Russian prototype account of their essential difference was that the stones were not attached to the wires (in Russian accounts), they were used for various calculations. In our time, children learn the abacus in elementary school, and many parents request children to do Abak baffled. Actually, you only need a little time and a few tips. Razlikuje a small piece of thick paper or cardboard into three sections. Please note that the columns must be the same width. They will identify the first three numeric category: units, tens and hundreds. In each of the three columns penetrate for 10 square or round holes of the same size. To Abak looked carefully pre-mark where you will cut holes and what size they are. If you decide to make the holes round, for marking you will need a compass. Bottom must be glued or sewn colored paper, it should contrast with the main color of cardboard or paper, from which you produce an abacus, to its background well was noticeable holes cut. Please note that glue colored paper need not entirely, but only at the edges of the columns below under each row of holes was left a small gap. Cardboard cut-out three stripes of such width that they are freely held in the gap which you left between the base and colored paper. This is necessary in order to, pushing or removing these strips in each position opened by the desired number of holes and, thus, showed a number of many figures. In a similar way it is possible to make an abacus, which will show three numerical categories: units, tens and hundreds, but thousands. To do this you need to do just on that basis, not three, but four columns with holes and, accordingly, 4 tickers out of cardboard. If you are doing abacus for a child, use only durable cardboard, so that it is not strongly deformed by careless use. Also for convenience it is better to take cardboard of different colors, i.e. the basis of the abacus should be one color, the bottom (colored paper) – the other, and line – third, and they should contrast with each other. So your child will be easier to understand the structure and principle of operation abacus.